Only 5 left in stock (more on the way). acclaimed album. 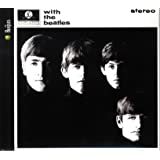 The album is newly mixed by Giles Martin and engineer Sam Okell in stereo, sourced directly from the four-track masters at Abbey Road Studios in London, and guided by the original, Beatles-preferred mono mix produced by his father, George Martin. This extensive collection gives an unprecedented insight into how The Beatles made their ground-breaking album. The box set features a new stereo version by Giles Martin and 33 tracks from the Sgt. Pepper sessions that place you in the studio as the group develop the songs. A new stereo mix of the album by Giles Martin. Sgt. Pepper Sessions on 2 CDs with over 100 minutes of audio illustrating how the album was created. Newly mixed from the original four-track tapes, most of the material is previously unreleased. Also contains the original 1967 mono mix of the album and bonus tracks including three previously unreleased mixes. Fully restored 1992 documentary The Making of Sgt. Pepper, including interviews with Paul, George and Ringo and fascinating in-the-studio footage introduced by George Martin. Restored promotional films for 'A Day In The Life', 'Strawberry Fields Forever' and 'Penny Lane'. 2017 Giles Martin 5.1 surround sound mix and high-resolution stereo audio in 96KHz/24bit of Sgt. Pepper's Lonely Hearts Club Band plus 'Strawberry Fields Forever' and 'Penny Lane'. 144-page hardback book featuring an introduction by Sir Paul McCartney, comprehensive song-by-song details and recording information, in-depth essays about the design of the cover, the album's musical innovations and its historical context... and much more. Illustrations include photographs from the recording sessions, handwritten lyrics and Abbey Road documentation. Plus a replica of the original card insert and two bonus posters. 5.0 out of 5 starsReally Nice but vital? The product comes in a LP sized box about an inch deep with a 3d like Sgt Pepper cover slipcase cover. Once off the box appears to be EMI Tape box. Inside, it contains what appears to be a vinyl copy of SPLHCB, which is in fact a holder for four cd's and the Making of Sgt Peppers on DVD and Blu Ray. The Cd's come in simple cardboard sleeves, with Different photos of the cover. 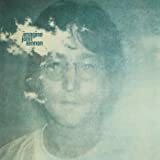 The revised CD, two sessions CDs and a Mono copy of Sgt Peppers with extra mono tracks such as Strawberry Fields and Penny Lane and the mono USA Promotional Penny Lane with the extra end notes (prev found on the US rarities LP). 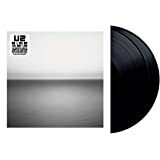 You also get the cardboard inner from the LP release and two posters (one Black and White) and a 146 page hardback book which contains various essays and recording details etc. The package is quality and I love it. It is a very desirable package and I wish The Beatles 'White Album" was similarly shaped and styled. I think getting a remastered package of Sgt Peppers is vital but this package while beautiful maybe not. just as I remembered it. Wasn't going to buy this since I have everything Beatles in my collection, but I heard the Terri Gross interview on NPR on a nondescript kitchen radio and could hear how much better the sound is compared to the old edition that I have. Thank You Terri Gross. This 2017 deluxe version sounds so incredibly good I'm finding it hard to listen to my older Beatles recordings. Revolver now sounds horribly flat in comparison. A remix for all Beatles recordings from Help/Rubber Soul to Let it Be/Abby Road should seriously be considered. 440 people found this helpful. If you were alive and reasonably conscious in the Spring of 1967 you might have heard a prematurely released, unauthorized version of a brand new Beatles album on the radio before it quickly disappeared for another 6 weeks. It was a tantalizing treat. At the same time, a new single sounding suspiciously like the Beatles hit the FM airwaves but the record was a red herring: New York Mining Disaster by the BeeGees, who were then new to America and something of a Beatles sound-alike. The album was real, however, and when it was finally released for good at the end of May it literally changed the world in ways that are inconceivable today. Sergeant Pepper's release 50 years ago coincided with a ramp-up in the Vietnam War, an increase in protests on campus and in the streets, and the birth of Hippies and the so-called "Summer of Love." The album was heard absolutely everywhere all Summer long and it became the soundtrack of that amazing and complex era. It influenced song writing, studio recording, every aspect of music production, the artistic layout and design of LPs (it was the first Rock album to include written lyrics and inserts and the cover was unique and brilliant) and its phenomenal commercial and artistic success remains a legend in the music business, unique in ways that may never reoccur. In celebration of that artistic success, Capitol has released this Deluxe Edition DVD + Blu-ray + Audio CD | 4 CD Box Set. It is quite an expansive tribute to this iconic record (Rolling Stone's number one Rock album of all time). Disc one: A brand new stereo mix by Giles Martin sounds clearer, cleaner and more spacious than the original and the subsequent re-masters. The crowd noises at the album's opening sounds alarmingly real, and the guitars, drums and vocals sound great. A Little Help From My Friends has an even more infectious groove because Ringo's voice and the music now have a wider soundstage and greater clarity. Lucy In The Sky With Diamonds has been opened up and now has a trippy, spacey infectiousness that really makes you suspect the official version of the title's initials. Getting Better, Fixing A Hole and She's Leaving Home are cleaner with more detail and presence. Being For The Benefit Of Mr. Kite! has been especially improved with the calliope/harmonium/organ sounds produced by a Hammond organ, tape loops and harmonicas now whirling around the room with thrilling three-dimensional clarity. The rest of the album continues Sergeant Peppers' sonic re-vitalization, with much less audible compression and improved transparency. A Day in the Life now has explosive crescendos that sound like hammers of fate while John's voice has never sounded so terrifying. 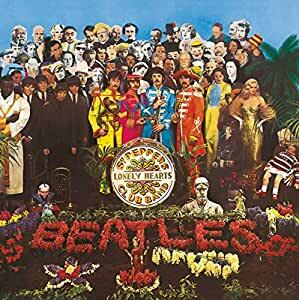 The new Sergeant Pepper stereo mix isn't revolutionary but it is a substantive improvement in presence and immediacy, making the album sound more vibrant and alive than previous versions. Disc two and three: Over 100 minutes of studio outtakes and chatter that helps to illuminate the recording process. Some of you will love this stuff, enjoying the backstage glimpse of the Beatles as they recorded their masterpiece. Others of you may find it a little repetitive after a while. I found it a fascinating historical excursion into musical memory. It's a matter of taste. 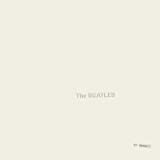 Disc four: The original 1967 mono mix that was released with the Beatles' approval. This mono recording was reportedly the Beatles' favorite version of the album. The band considered it more unified in expression and containing greater musical impact. I get the point but still prefer the stereo version for its sonic magic. Disc five and six: The restored 1992 documentary The Making of Sgt. Pepper, which includes interviews with Paul, George and Ringo, has been around for awhile but has never looked better. It is great to hear George again, speaking about the creation of the album. The in-the-studio footage, which is introduced by the late George Martin, feels and looks like opening a time capsule and watching the band work. The restored promotional films for 'A Day In The Life', 'Strawberry Fields Forever' and 'Penny Lane' look and sound terrific. The 2017 Giles Martin 5.1 surround sound mix and the high-resolution 96KHz/24bit stereo audio of Sgt. Pepper's Lonely Hearts Club Band plus 'Strawberry Fields Forever' and 'Penny Lane' are icing-on-the-cake. Sergeant Pepper in surround sound and hi-res are an entirely different audio experience. This is how the album might sound if it were recorded today. The music is superbly alive and totally immersive. 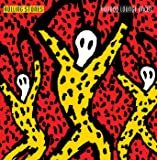 The 144-page hardback book with song-by-song details and recording information, essays about the design of the cover, the album's many innovations and its historical context are enlightening. The illustrations feature photos from the recording sessions, as well as handwritten lyrics and Abbey Road studio documentation. Anyone that loves the music produced by the Beatles during this amazingly creative period will probably love this box set. It's pricey but it's a treasure trove of memories and definitely worth acquiring. 625 people found this helpful. I'm a big rocker, and since the Beatles are my favorite band, I like them to rock as much as possible. The primitive, "gimmicky" and "afterthought" nature of stereo in even the highest rock circles in 1967 led to a weakening of rock songs: often with the anemic-sounding drums relegated to one channel: as if they are in another room. Taking away the power of the drums removes their very essence. Why are they there in the first place? Muffled drums are scarcely drums at all: at least not in rock music. There is a reason why Ringo Starr is said to be very excited about this remix. His remarkable (consistently underrated) efforts are now heard as what they truly were. 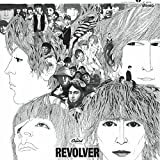 The remix of "Pepper" follows the trend of Beatles remixes: going back to the glorious 1999 "Yellow Submarine Songtrack" through to the 2006 "Love" and the revised "1". They all rectify the extreme "right-left" dichotomy stereo, and almost alway put vocals and drums in the center (i.e., equally in both channels). This retains the power of mono recordings: fleshed out with background vocals and various instruments in one channel or the other, to achieve a pleasant fullness and depth of sound without losing the "primeval" power of classic mono rock: the invigorating, toe-tapping sound that we all loved in the 60s, coming out of that good old car speaker (one, not two), or out of our old record players. That pretty much sums up what was done in this remix. 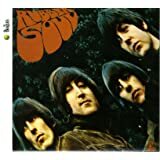 Giles Martin (son of Beatles producer George) consciously set out to reach a new synthesis, if you will, of the best aspects of the mono and stereo versions of Sgt. Pepper: but greatly emphasizing the former as the "template" for each song. He has gloriously succeeded: so much so, that it is almost a moot point now to determine whether the stereo or mono versions of a given song from this classic album are superior. We simply choose the 2017 remix versions, which combine their individual attributes; indeed, virtually transcend the categories. Remix is the way to go with Beatles, and we should fervently hope that all their songs will eventually be remixed. It does the Fab Four a disservice if we leave their wonderful songs in primitive, "radically separated" stereo versions. It's always seemed very odd to me that rock stereo in the 60s was so lousy, since classical recordings (I have a huge collection of old vinyl classical) had utilized it so well, since the late 50s. It took a while for rock music to catch on. But now we have, including our beloved Beatles recordings. I was particularly impressed by "With a Little Help from my Friends." The drum improvement wasn't dramatically better than the previous best 1999 remix, but it was enough to give the song a different feel. It sort of "swings" by virtue of the drums, which are more distinct and upfront. 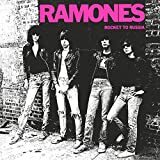 It's the difference between a pop song with a catchy (albeit relatively faint) beat, and a power pop song, almost distinguished by the catchy beat: raised to where it should have been all along. I won't go through all the songs, since my review was meant to be basically a general observation about the superiority of remixes over mere remastered recordings. But honorable mention must be made of the "Strawberry Fields" 2015 remix. Per my analysis above, it puts the drums in the center, for the best sound ever, by far, of this masterpiece. It's a shame that it took so long to do so, but it's here now, so we must rejoice that it sounds the way it should, fifty years after the fact. Life is strange. But it's exciting, now 53 years after February 1964 and the Ed Sullivan Show, that we still are getting, in effect ,"new" Beatles music; I say "new" precisely because the remixes are so dramatically different that they place us now in an era that has transcended the "dichotomy" of stereo and mono versions of the same song. I look forward to the entire Beatles catalogue "Getting Better": as "Pepper" now is. 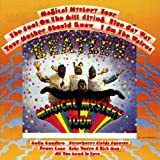 How about a 50th anniversary remix of "Magical Mystery Tour" in time for Christmas? These two amazing albums came out in the same year (U2: are you reading this? ); let's repeat history and bring out the remixes in the same year, too! 467 people found this helpful.